Is your Apple iTunes library a mess? Some have the artist in the same field as the name of the song. Others are missing the album title. There are many programs that offer to fix your iTunes library for a fee. But why do that, when there’s a program that does it for free? 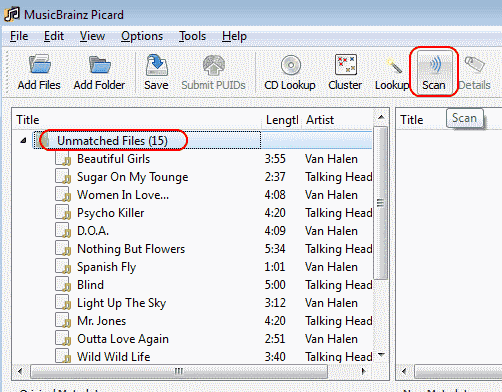 MusicBrainz Picard works in Windows, MacOS, and Linux. It will clean as many of your music tracks as you like for free. Just follow these steps. Download and install MusicBrainz Picard. 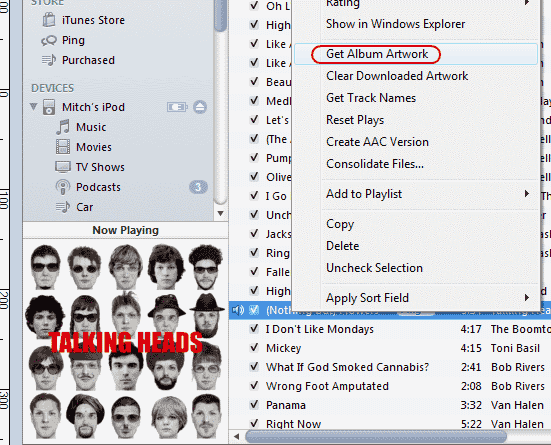 Open iTunes and sort your music library so that items with missing information are all together. For example, sort by the “Artist” if you have files that are missing the artist of the song. 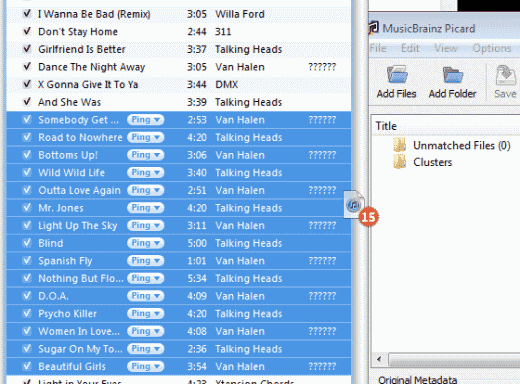 Open MusicBrainz and drag and drop the tracks that need to be cleaned from iTunes over to the MusicBrainz window. Your songs will appear in the left part of the window. Select “Unmatched Files“, then click “Scan“. The software will scan the album information for each song and populate the right side of the window. Items that cannot be located will appear in pink on the left side. Once scanning has completed, you can highlight the tracks you wish to save with the new information then click “Save“. Now the songs are fixed, but for iTunes to adjust to the changes, you must play each file. You may want to make a playlist that contains each file that you fixed and skip through each one. Once the song is played, the information is updated with the proper song, artist and album information. If you wish to take things a step further, you may want to fix the album artwork. Since the song now has the proper information loaded in the file, you can right-click an individual song or highlight multiple songs, then select “Get Album Artwork“. There! Your iTunes music library is now updated with the proper ID3 information. Now it’s much easier to find the music you want to listen to. Note: Despite the older looking screenshots, this process should work with iTunes 12. I have downloaded Music Brainz Picard onto my IMac 22.5″ ( 2017) with Mojave, however, when I open it from Applications, it verifies and then does nothing. Every time I click on it in aApplications it goes through thec same process, but I can see no evidence of it anywhere? Why some of them the app cant scan?